The tube squeezer is the special rescue tool, designed to squeeze part of the metal pipeline to seal up one end of the pipeline. Then the danger caused by the leaked fluid can be receded or eliminated, which can create more favorable timing and conditions for the following rescue job. 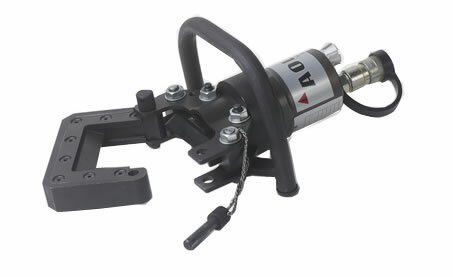 The equipment is single-action and has simple structure, which can be operated easily. 1. The tube squeezer complies with the standards of Germany DIN14751, France NFS and China GB/T17906-1999. 2. The hydraulic cylinder is made of the high-strength light alloy material and the knife takes usage of regrinding special tool steel. 3. 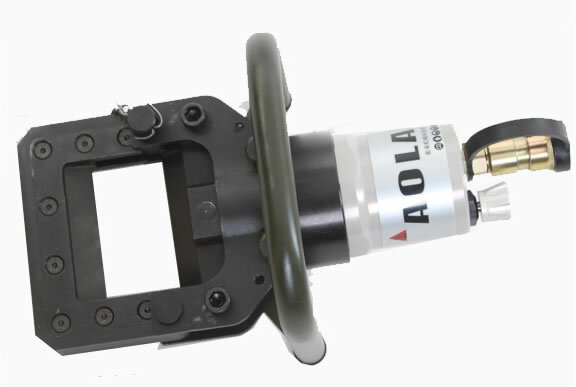 With the two-way hydraulic lock and automatic reset reversing valve, the hydraulic circuit can be taken off after sealing up the pipeline to assure the safety of the operator. 4. The sealing force of the equipment is up to 170KN, which can allow the equipment sealing up the liquid and gas pipelines with diameter less than and equal to 65mm and thickness of 1 to 4.5mm to cut off the burning materials. 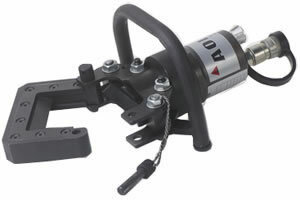 The tube squeezer is power supplied by connecting the hand pump A through the connector of the hydraulic fluid pipeline. 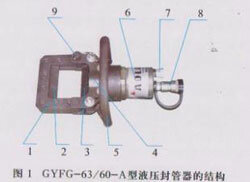 The hydraulic pressure acting on the piston is passed to the movable knife through the connecting rod. Then the metal pipeline can be squeezed at the needed position to carry out the sealing job. 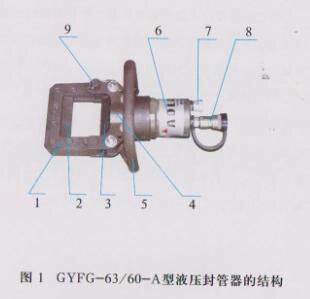 When the equipment is connecting with the hand pump A with the switch valve of the pump closed, the hydraulic fluid pressure in the hydraulic cylinder is kept and the equipment is at the state of working. If you need to move away the pump, you should turn off the switch valve of the pump. Then the hydraulic fluid pipeline connector can be unscrewed and the pump can be moved away to the other rescue places. 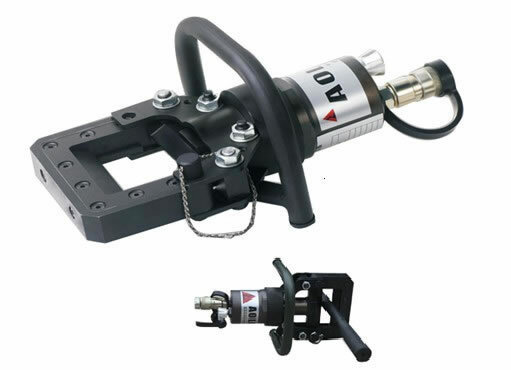 At this time, the hydraulic fluid pressure in the hydraulic cylinder is still kept and the equipment is still at the working state. Description 1. 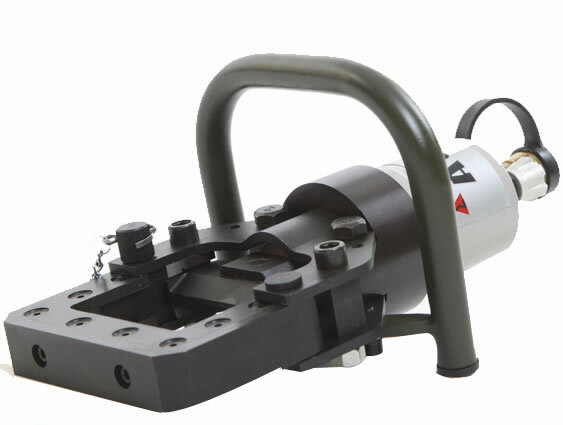 The hydraulic tube sealer is a professional rescue tool to seal the pipeline by squeezing part of the metal pipeline to eliminate the danger caused by the liquid or gas leakage. Then we will have favorable timing and conditions for the following rescue work. 2. 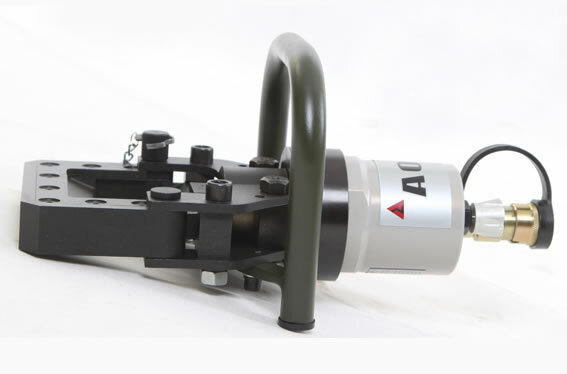 This sealer's sealing force is up to 170 KN, which allows this equipment to seal both gas and liquid pipes with the diameter of less than or equal to 60mm and the thickness of 1 to 3.5mm, and stop the burning materials in the pipes. Features 1. The cylinder of the sealer is made of lightweight and high strength alloy material and the knife adopts the regrinding special steel. 2. 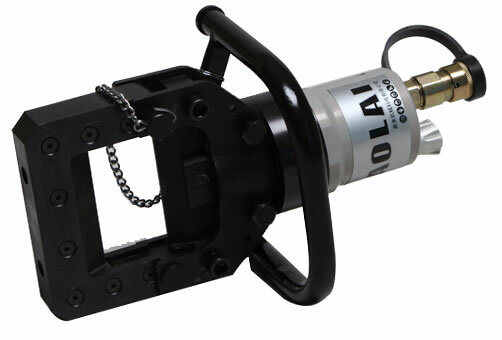 After the equipment sealed up the pipe, the bi-directional hydraulic lock and automatic reset valve can take away the hydraulic pipeline to ensure the safety of the operator.